Kaplow Communications has launched KaplowPurpose, a new practice to help brands connect with consumers in a meaningful way. KaplowPurpose will serve corporations and non-profit organizations by developing and executing targeted strategic brand marketing initiatives. The practice is partnering with Givz, a platform that allows companies to engage with their communities (customers and/or employees) through charitable donations, building a positive brand image and improving Corporate Social Responsibility. KaplowPurpose will offer Givz to companies and philanthropic organizations to provide a seamless way to add a secure donation functionality to their website or app for free. 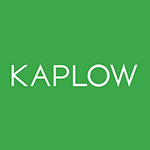 Kaplow has previously executed such purpose-driven campaigns as the Blue Planet Run, Microsoft’s Skype in the Classroom program and Avon’s Breast Cancer Awareness initiatives. 5W Public Relations founder and CEO Ronn Torossian shared his insights and opinions with two classes at Harvard Business School this week. Torossian made a presentation on the PR nightmare that resulted from United Airlines’ handling of a broken guitar, as well as leading a student discussion on crisis communication strategies and insights. He also participated in a Q&A, where students asked him about such current topics as Nike and Colin Kaepernick’s images, influencer marketing, the social media landscape, and strategies within crisis communications. 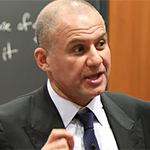 “Crisis doesn’t care whether it’s your birthday, your vacation, the weekend—when it occurs, the company must be prepared with an authentic and genuine approach,” Torossian told the students. 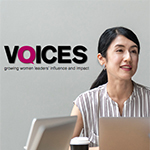 the10company, a woman-owned strategic consulting firm based in New York, has introduced VOICES, a leadership and communications coaching program for female executives. The program is conducted either in teams or one-on-one by agency principals Valerie Di Maria and Clare DeNicola as well as a group of senior coaches. It uses in-person meetings, workshops, webinars and other online methods to help women leaders advance their agendas. 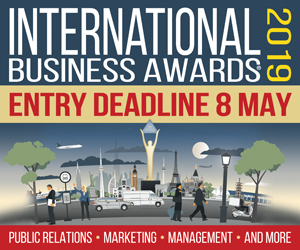 Its offerings address such subjects as Building Your Executive Brand; Coaching for Start-Ups and High Growth CEOs; Getting Ready to Be CEO and Preparing for Board Service. “By focusing on female-forward strategies such as how to best contribute ideas in meetings to get heard, learning the art of bragging and embracing risk taking, women can truly grow their influence and impact. To find out more about the program, go to women-voices.com or the10company.com.